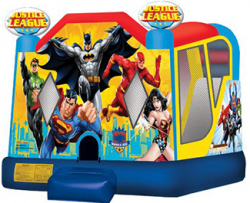 The perfect bounce combo for your little super- hero. Enjoy watching your child play along side their favorite super-heros. The slide is enclosed in the unit so your child doesn’t have to get in and out of the unit to enjoy the slide.